Misty moved to Sheridan, WY from St. Petersburg, FL at the tender age of 12. While she may not be a native to Wyoming, it has made her appreciate the beauty Sheridan has to offer. She finds the mountains breathtaking, the air crisp and clean, and the people have grown close to her heart over the years. She loves to travel, but will always call Sheridan home. As a mother of three boys, Misty finds family to be of the utmost importance. While working hard to reach her career and education goals, raising her family is always number one. Just as she teaches her boys, she implements in her work ethic the belief in: doing the right thing, being honest, keeping your word, and the true benefits of hard work. While her education background in Psychology gives her an understanding of the way people interact and how to go about meeting their needs, it is her experience in hospitality/ hospitality management that has really made her appreciate people for who they are. It brings her great joy to be able to help others where she can and without reservation of the reward. Outside of work Misty stays very active and loves the outdoors! She plays guitar and loves live music. Taking her children to see new things is her favorite, but enjoys board games in the living room just as much. Her most favorite pastime however is working on her home. She has many skills including carpentry, painting, interior design/decorating, and making an unloved space cherished again. Buying a home, whether your first or your last, is one of the most important decisions a person makes. It is not without some stress and uncertainty, but with the right guidance it can be enjoyable! If you want someone who is patient, honest, and understanding of all your needs… Call Misty Anderson. Misty is caring and went above and beyond to fix any bumps in the road. After buying our 6th home, Misty has been this buyers favorite real estate agent by far. Buyer could tell that Misty honestly wanted what was best for the client. Buyer says Misty was great! Easy living! 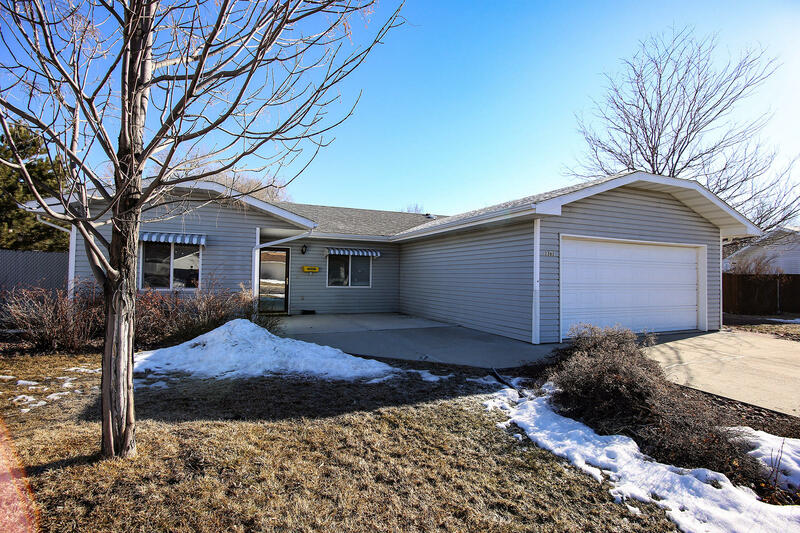 Well maintained one level home on a large, low maintenance lot. Alley access with RV parking. Open floor plan with beautiful wood mantel gas fireplace from Agray's. Quiet street, newer 50 year roof, new water heater, lots of closet space and lots of light. Don't miss this wonderful home! Seller is offering $2,000 flooring allowance. All measurements are approximate.